Before you commence any research, make a list of what matters the most to where you are going to purchase, why and what components you are looking for in your purchase. For example: What suburb you are considering; amenities; essential features in the house you are looking for. Once you have made your list, you can now narrow down your search fields, making the start of your house hunting easier. It makes more sense today than ever before for home buyers to talk to a lender about securing their next property. Things are getting more complex every day with banks consistently changing interest rates and altering lending criteria in response to regulatory changes. Having clear goals and finding a loan that will help you get there has never been more important. Choosing to work with a lender from the very beginning – even before you start going to inspect properties – arms you with knowledge on how much you can afford to purchase or your lending range. Speaking to your lender about getting formal pre-approval before auction day means that you are ready to put down your deposit if you are the successful bidder. A Lender can help you understand your capacity – what you can comfortably afford to borrow – so that you have the confidence (and the green light) to bid up to a certain amount. 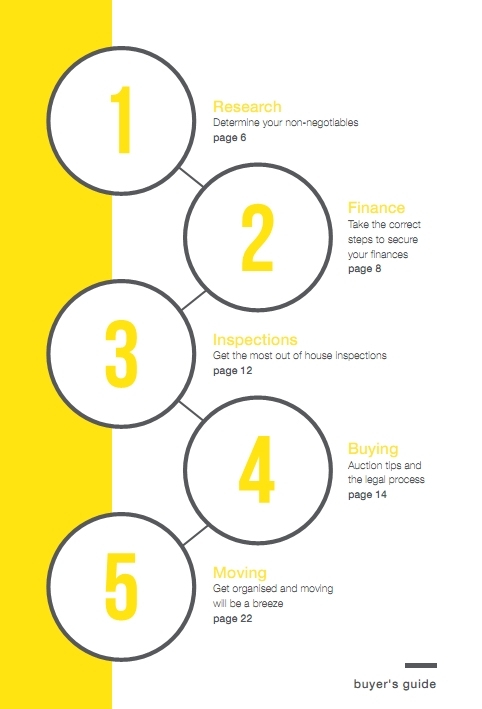 For more information on what you need to do, to be Auction ready read our ‘Buyer’s Guide’ booklet to clear away any additional queries you may have, alternatively talk to the Selling Agent!. Yes talk to them, you will be surprised on how you can gain knowledge just by talking. Last but not least, enjoy the process, you are about to buy your future ‘Home’, or ‘Investment’ opportunity … so make sure you savour the moment !